Get G Suite on your bussiness domain. Business email, shared calendars, video conferencing and secure online storage for your business. 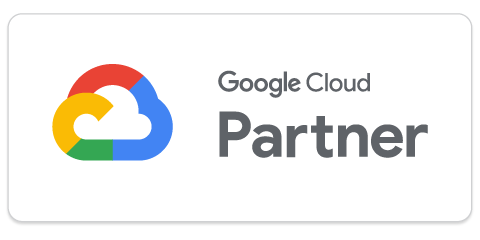 Let us help deploy and manage G Suite for your business. Talk to us about data migration, domain administration, support for your users, and G Suite security best practise. Secure, smart and simple collaboration in the cloud. Data that's safe, teamwork that's effective. G Suite provides everything you need to do your best work, together in one package that works seamlessly from your computer, phone and tablet. Boost productivity and teamwork with secure and easy to use email, calendars, storage, and more. All your data secure and backed up in your cloud, backed by Google, with multiple versions available at your fingertips. Store, access, and share files in one secure place. Work in the same spreadsheet at the same time with your team. Presentations.Create beautiful presentations together, no software required. G Suite in 90 seconds. Watch this 90 second video for a real-wold demonstration of how G Suite can help you and your team get more done, faster. By choosing Cozan Consulting as your G Suite service provider, Google transfers billing into our care and you receive a single bill for all your G Suite accounts and support. Professional office suite with 30GB storage per user. Enhanced office suite with unlimited storage and archival and retention policies, eDiscovery and audit reporting. Premium office suite with data loss prevention in Gmail and Drive, encrypted email messages using S/MIME, enhanced security and advanced admin controls and capabilities. Why sign up with Cozan Consulting? We help businesses with new or existing G Suite accounts manage the platform and provide technical support to their users. If you are signed up directly with Google, Google only provides support to your domain administrator after creating a unique support PIN for each instance. Our team of certified G Suite professionals will manage your G Suite deployment, ensure best practice security controls are in place and help your users troubleshoot technical issues. We provide stable billing in South African Rand at a fixed monthly rental (see pricing info). Fixed ZAR billing reduces uncertainty and simplifies your accounting procedures. After signup you receive a single bill from Cozan Consulting, no additional charges from Google or hidden fees. Google has industry-leading knowledge and expertise building secure cloud infrastructure. The entire G Suite ecosystem is built with a security first mindset. G Suite offers administrators enterprise control over system configuration and application settings – all in a dashboard that you can use to streamline authentication, asset protection, and operational control. In addition to strong contractual commitments regarding data ownership, data use, security, transparency, and accountability, Google also provides all the tools you need to help meet your compliance and reporting requirements. How to migrate old email to G Suite? Our team of Certified G Suite Deployment professionals will help take care of the migration for you to ensure a smooth transition and make sure all your data is accounted for. Data can be remotely migrated via secure IMAP connection or directly from .PST (Outlook backup) files. How to cancel the service? G Suite services are provided on a month to month basis. You can cancel your service with Cozan Consulting at any time with 30 days notice. You can also add or remove users at anytime and your bill will be updated accordingly. 99.9% up-time guarantee for all core G Suite apps. Monitor service status in real-time on the G Suite Status Dashboard. G Suite service can be transferred to a Google Cloud Partner with a unique Transfer Token.